Yes, Beloved Ones, the portal to Ascension is indeed in your heartminds. Your attention to the Harmonic Ascension Portal for all has focused your attention on your wish to be of service and your wish to ascend as soon as possible. This is a success. We have encouraged you often by giving you specific tasks, or by showing you how we create – by envisioning a thing done, we make it happen. You are learning this as you come closer and closer to your own ascension, as the veil is lifting and you raise your consciousness to anticipate the glorious fulfillment of our Dream. I am in love with you. You are brilliant Lights, determined souls who have worked together throughout the eons to make this great Ascension happen. Now you will complete your part of this marvelous project by rising to meet us in higher dimensions. You are all wondering how to ascend, what you have to do to accomplish it. I can reassure you that there is nothing more you have to learn, nothing you have to build, and nothing you can study that will help you to ascend. The feelings of exhilaration, ecstasy, gratitude and bliss are the leavening which will help you rise through the portal into our open arms. Although the preparation may have taken years to accomplish – creating in yourself the state of love, mindfulness and deep awareness of your own thoughts, feelings and actions – the moment when you ascend is, and must be, an effortless moment. It is that moment of complete peace and joy when all is well, all is carefree, that you can release yourself to fly, as naturally as a hawk on the wind. It is Easter Sunday today in the Western world. For many years, the people who have been influenced by Christianity have celebrated this as the day I ascended to higher dimensions. This is all right with me, since it is a celebration of life, not death, and it recognizes the truth that I did ascend in my body, just as all of you are preparing to do. As I have told you in The New Scriptures, I intended to teach the lesson that we are all One, connected to our Creator. It was not my special privilege to be the Son of God. You are all children of God, just as I am. You are all precious in his/her eyes, just as I am, and you will all ascend in your bodies as I did. There will be no death, no funerals and no mourning this time. It is the end of the glorious project we have worked on together, and the beginning of a new era of celebrating together in joy, in perfect Love and harmony. You have asked: “What is ascension, and how am I going to accomplish it?” It will surprise you to know that my ascension – or resurrection, as they called it then – happened after I had been comforted and healed of my wounds by those who loved me. This healing, and the great Love I felt from my beloved Mother, my wife Mary Magdalene and my dear friends, lifted my heart and filled me with joy. I felt truly blessed to be so loved, and to know that I had completed my work here in that lifetime. It was then that I flew on the wings of Joy, back to the loving arms of my Creator. I had hoped my example would be used to show the way for others to know that ascension is a natural process, one which can be experienced by anyone whose heart is filled with Love. For me, it was the culmination of loving service to my fellow humans – a satisfying life lived among those I loved deeply. I came to bring the word of God’s love, and to show others how fulfilling a life with God’s constant presence could be. It was not a complete success because the message I wished to bring was submerged beneath imposed restrictions, rules and dictates which the religious hierarchy imposed in their strenuous efforts to control and profit from the hard work of the people. I did not proclaim myself to be a priest, or expect to be worshiped. I simply wished to tell the story of our Creator, who is Love, Forgiveness, Compassion, Empathy and Wisdom. Creator does not punish nor judge. We are free to explore, learn, and then return to the loving arms of those who guide and oversee our life here on Mother Earth. Here is my simple lesson to help you follow your hearts: Good lessons leave you smiling. Really good lessons leave you laughing, and the best lessons make your heart sing with Joy and recognition. God is laughter. God is Joy. God exists in the giggles of a child and the sighs of a lover. A mother who feeds her family with love is doing God’s work, as is the junkman whose song makes the children dance with joy. There is great magic in a life well lived. Only now, after the departure of the Dark Ones, are you all awakening to the great possibilities for happiness that exist all around you. You are newly discovering what children have always known – that elves and fairies do indeed exist, and that the trees around you carry wisdom and the memory of Earth’s history in their combined consciousness. Mother Earth herself has at last been able to reach into your unconscious mind to tell you of her Love and dedication to the care and nurturing of her beloved beings of Light – human, animal, plant and mineral – all under her loving care, even as they defiled and misused her. The song of the whale and the dolphin have broken through into your awareness, and you are observing the expressions of friendship across species as never before. Does a snail feel love? Of course it does. Does a dog remember its human friend after death? Indeed it does. Is there life after death? Beloved Ones, there is no death; there is only life everlasting. Have you lived before? Of course. All is consciousness; all life emerges from the consciousness of Love which is Creation. Once created, there is no end. You, Beloved One, go on. Let us go on together. This is the time for celebration and joining as One. 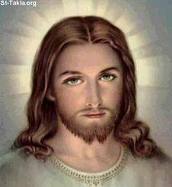 I am Sananda, and I love you without end. 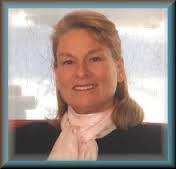 I can only applaud the eloquent words of my beloved Messengers, Sananda and St. Germain, and I thank our dear channel, Kathryn, for her tireless dedication in bringing you our messages, clearly, without question or doubt. Many times we have used this process to bring you information which may have seemed incomplete or contradictory to you. This is an inevitable part of the process which does not allow us to show you what we see because you are blind behind the Veil. We provide you with knowledge and wisdom in parts, as you are able to absorb it, and we wait while you argue it amongst yourselves, digest it and then show you are ready for more. It could not be otherwise, Dear Humankind. It was your wish when you helped to design this life that you be tested completely. Your ingenuity is boundless; your plots and dramas bear the mark of genius. Now it is time, Beloved Ones, to take credit for your genius and to accept the congratulations and celebration due you. You have “survived” your own mystery play; you have awakened to the truth that your Dream, even when it appeared to be a nightmare, was of your own making. Now it is time to put away the instruments of your own suffering and join with Us in creating the great uplifting of spirits which will create Ascension for all of humankind and your friends and neighbors, the animals, insects and plants. The stars are aligning to create energies not felt on Earth since the beginning of Time. Time, by the way, was one of those ingenious tools which has allowed you to feel urgency – often misused as worry, of course, but useful nevertheless. Now, allow that urgency of time passing to fade into the past, as you acknowledge that there are indeed transitions, turning points in the Cosmos, and you are a part of that great whole. It is your turn now, Humankind, to realize the fulfillment of your promise to yourselves, that you would one day return to Paradise to enjoy the fruits of your long lifetimes of suffering and toil as the prisoners of a self-imposed Darkness. You have shaken off many of those anti-life principles which created your psychological prison. Complete that process now by leaving behind all negative thinking, analyzing and questioning. It only leads to fear, and fear was the creation of the Dark Ones. Allow yourselves the perfect vacation from doubt and fear. Instead, let your hearts lift you into the state of perfect Love, as I pour my adoring, admiring Love into your hearts and souls, that you may feel your perfection as I do. Indulge yourselves, Beloved Ones, in the laughter which shakes your belly and creates waves of pleasure radiating outward to tickle others. Dance with a skip in your step, and sing your song of Joy as the wren lifts its voice to celebrate the new day. It is your time, your triumph and your new life which begins today. “The frequency of this Celestial Music communicates with the Divine Intelligence of the body at a cellular level raising the consciousness of each cell. As the music soothes and comforts the cells, the body’s natural ability to heal itself is enhanced. 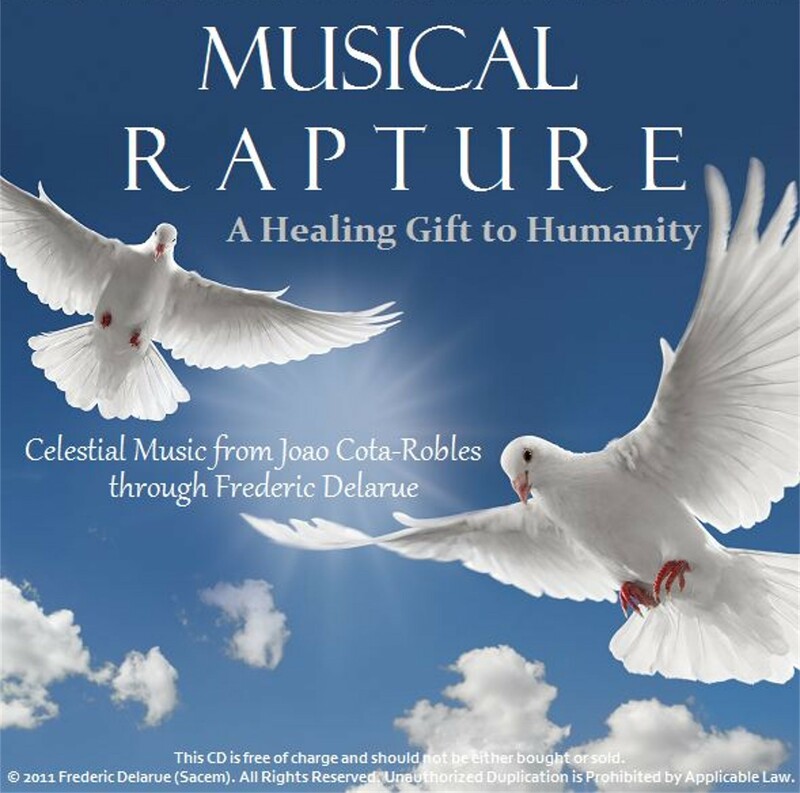 PLEASE READ THE ENTIRE STORY OF HOW THIS MUSIC CAME INTO BEING AT: http://www.eraofpeace.org/musical-rapture YOU MAY DOWNLOAD IT FREE AT THIS SAME URL. Nothing that exists can be less than God. Easter Sunday is a very important day for many of you as you make an annual memorial celebration of my resurrection and of its confirmation that all of God’s children (and all are God’s children) have, and are entitled to eternal life. As I, and many others, keep reminding you, life never ends. Our Father created us to enjoy eternal life, and what He creates is, by its very nature, eternal. Since the moment of your creation you have lived constantly, without interruption, within the Oneness that He is. He is all that exists, and therefore there is nowhere else that you could reside. Just remind yourselves, when doubts or anxieties arise, “There is nowhere that is not God.” Your unawareness of God and of His infinite Love for you is illusory. Today remind yourselves of this truth. And tomorrow, and tomorrow! The fact that you are not experiencing God’s Love for you in every moment in your human lives is because you have chosen to experience separation from Him. You have free will, and so you can at any moment change your mind, change your choices and change your experiences. However, your choice to experience separation from your divine Source has been part of your belief system for eons and is consequently deeply ingrained within you. Many of you are at present going through a massive release of old emotional baggage that you no longer need or resonate with, and that release is bringing up for you doubts and anxieties of seemingly enormous intensity, and threatening your strongly held beliefs about you and God. “Is there really a God? Am I imagining Him because the thought of death, extermination, a void, nothingness, is more than I can bear?” It is very unsettling because so many of your ingrained beliefs are far less than totally loving – many believe in a God who judges, condemns, and punishes sinners in an eternal hell, but Who may accept those who repent, if they are adequately remorseful. Surely the void would be better than everlasting suffering in hell? However, the truth is that you are forever loved by God, and there is nothing that you can ever to do to change that. Hell is of the illusion, unreal, but many experience it daily, making it seem utterly real. What you believe is what you experience. You have all met people who are permanently miserable, victims in an unjust world; but have you not all, or most of you, occasionally met someone who is full of the joy of life? Both inhabit the same world, they just choose to see it differently. God is Love, God is changeless, and as you are part of God so are you. You have just temporarily forgotten who you are, forgotten your true divine nature, and, within the illusion, you are still playing with the idea of being separate from God, and therefore less than Him. But nothing that exists can be less than God because all is One with God. I discovered that when I walked the Earth all those centuries ago, and it is your destiny to make that same discovery. You can delay that discovery by procrastinating in a state of painful self-judgment where you choose to believe that you are unworthy of God’s Love, and where you follow that up with a belief or a series of beliefs in which you choose to punish yourselves by continuously reminding yourselves that you are unworthy of His Love, and that you must remove yourselves from His sight until you improve or become worthy. But He created you perfect, so how can you possibly improve on that? Your sense of unworthiness is illusory, part of the illusory environment in which you have immersed yourselves, and which you continue to “prove” is true and real by treating others unlovingly, and then observing the disastrous results of those unloving attitudes and behaviors. But beings of Love – YOU – are incapable of treating others unlovingly because you are One with God, your divine Source. What you see and experience as pain, suffering, betrayal, distrust, abandonment, aloneness are all aspects of the illusion that you collectively built in order to play with the idea of separation from the Source, God, your eternally loving Father. His Will for you is that you be forever happy, joyful, at peace, content, and ecstatically rejoicing in the fact that you are eternally alive as essential and irreplaceable aspects of Him. When you awaken to Reality that will be your permanent experience. One of the essential steps on the way to your awakening is to forgive. To forgive yourselves. Until you forgive yourselves it is extremely difficult to truly forgive others, even though your intent to do so is very strong. As long as you remain unforgiven you will continue to measure yourselves against others, comparing yourselves to them, and attempting to justify yourselves while you judge them. But you do not need to justify yourselves. God created you, so no further justification is necessary or possible. When you honestly do forgive yourselves you will find it increasingly easy to forgive others, regardless of how evil or corrupt they may have originally appeared in your perception. Unforgiveness is the screen onto which the unreality of the illusion is projected. When you forgive you effectively turn off the projector and roll up the screen and the illusion is gone. So this Easter day engage fully with forgiveness and then relax and loosen up in the loving and unconditional acceptance with which it presents you. Remember that I lovingly forgave those who crucified me, knowing that they had no idea what they were doing or why, because that is the confusion of the illusion. Release it and be free, that is your inevitable destiny. God will not forgive you because He sees nothing to forgive! Embrace your perfection by forgiving yourselves, then wonder and delight in the peace that it brings you. Filed under: Jesus, John Smallman |	Comments Off on Nothing that exists can be less than God.